Brought in one of my vehicles which was involved in an accident on Christmas eve. I made an appointment and upon arrival the day of, I was greeted immediately by a friendly and professional desk clerk. In short time, the estimator came out, introduced himself, and we looked over the damage on my vehicle together. I had my estimate back rather quickly, and they submitted everything directly to the insurance company via email. The bottom line is that this was a very seamless, quick, efficient process by a staff of professionals in a neat and professional environment. It would be my pleasure to do business with this body shop. Their estimate was also very reasonable compared to other estimates, which is good to know in any event, particularly for out-of-pocket body shop expenses. Highly recommend! Very professional organisation. Good staff & they have the equipment to fix just about everything. I would like to thank Daniel Roberts and his team for going out of their way to help my father, Lawrence (Bud) Roth. His car was being repaired in your Monroeville location. We were unable to go to the repair shop because my mother was ill. Daniel arranged to bring the car directly back to my father. All of this happened right before Christmas when Daniel was short on staff. This shows fantastic customer service for which we are extremely grateful. Marc was the best - he kept me informed every step of the process and was really an advocate for me in a mess of situation with the dealer where I purchased my car. 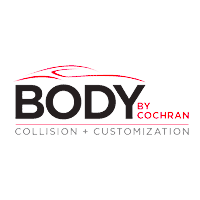 I will certainly go back and recommend Body By Cochran. The staff was excellent, always answering my questions when I asked them. Great job on the body work! 10/10. Body work on a Tesla Model S after an encounter with a deer. Prompt service, very happy with the results. Some bad reviews had me concerned, but for no reason. Would recommend! Courteous, efficient customer service both on phone and when you visit them. TESLA EXPERTS!Denise handled this case with aplomb. After colliding with a deer in our beloved Model S P100D, Denise was assigned to our case. She worked with our insurance carrier, USAA, to put "Humpty Dumpty" back together again. Tesla parts can be very difficult to order expeditiously as many are on backorder. They had all the parts with the exception of the hood in a matter of days. After tracking down a hood, while working with Tesla and the local Tesla service center, the car was rebuilt to even better standards than original. Steve did an amazing job matching the paint and getting the lines perfect. The rear door also had a dent which has been restored perfectly as well. Can't thank these folks enough. Great communication as we worked together through various challenges. Thank you to Brandon as well who did great detail work before pickup. If your Tesla is damaged, these are your folks to get her back on the road again! Good service, thankfully they had the part on hand. I've been in three accidents (rear ended twice and hit road debree once) and each time their work has been flawless. Did a great job on my car. Discount paid for deductible. Even detailed the car for free. This is the good Auto body shop. The staff is very nice. Very professional service and amazing quality of work; more importantly is the care provided after realizing that some minor unintentional unnoticed damage occurred during the repair process, they went above and beyond to make it right. Thanks!